Well you made the comparison, not me, I merely commented on it. And I've always taken pains to differentiate flavours of Islam. I've talked at length about how the Muslim communities in the UK differ from those in the US in terms of religious belief and geographical origin. The traveller community are predominantly Catholic! The LRA are Catholic priests? What madness is this? Yes, you're right. So that's a few tens of thousands eligible to vote each year. Basically Pakistanis and Malaysians. Nice smear tactic. The video I linked to depicted video evidence without voice over narration or headlines telling you what to think. It's irrelevant if it a nutjob uploaded the video to his channel. Also, a lot of police shooting videos make it to nutty/conspiracy "police state" channels, so I suppose we should disregard them too. Jeesus. We're through the looking glass now. The United States doesn't even have only one "white" culture, as we're reminded every time someone demonizes southerners, coastal elites, city dwellers, etc. Politically, and even culturally, I probably have far more in common with a new immigrant who lives within a half-mile of me than I do someone who lives 10 miles outside of my metropolitan area. 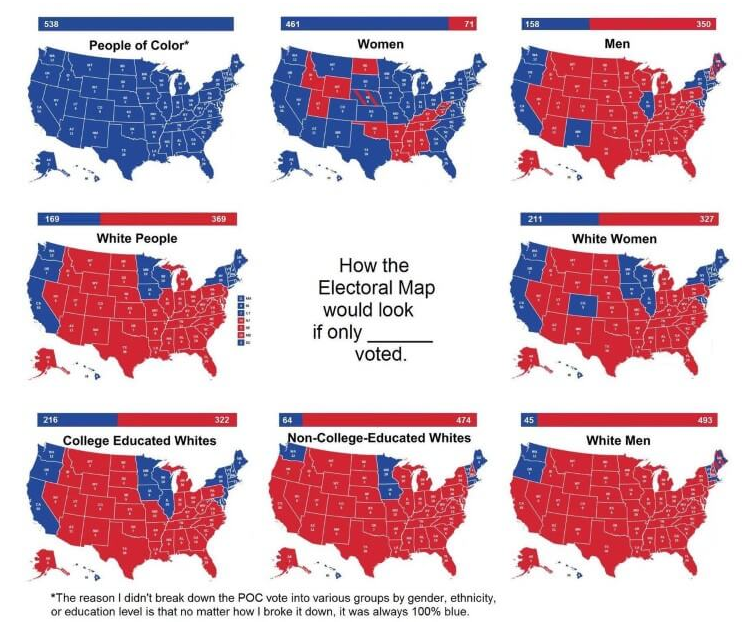 As the US becomes "less white," whites are becoming more of a cohesive voting bloc. Blacks and Hispanics, who otherwise loathe each other, are aligning politically against the whites. Hillary Clinton ignored lily white Wisconsin and it cost her the election. Expect New England to turn from blue to red as whites become more disaffected, while Arizona and Georgia to turn red to blue as more and more mystery meat ethnics pile up in those states. 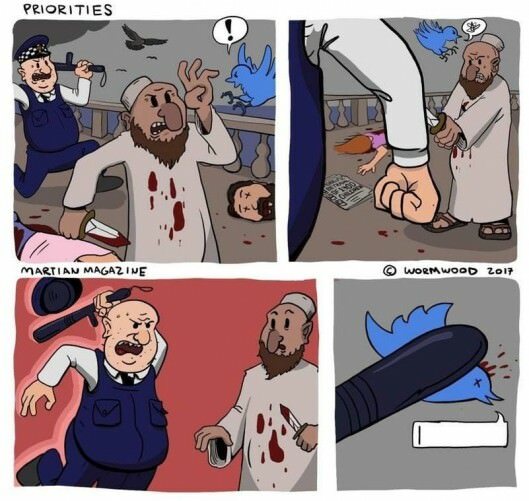 In time, you'll see the same effect in UK. Heck you're seeing it now as the graphs I linked to demonstrate. Last edited by Baylor; 2nd October 2018 at 02:28 PM. Winsor compared the situation in some parts of the UK to Northern Ireland during the Troubles, but said the difference now was that it was law-abiding citizens operating their only system of law, rather than criminal gangs. He told the newspaper increased diversity in the police across all ranks could help tackle the situation, though he did not think there was "institutional racism" in the Metropolitan police. Spokane has gotten to be such an interesting place over the years. Such kind, charming people. There's a reason I stay on the other side of the state. That sentence is incredibly hard to understand, get rid of the "nots" and type it again please? Last edited by p0lka; 2nd October 2018 at 02:34 PM. it doesn't say they 'won't go' it says that some residents don't report crime to the police. That is true of a lot of areas and has nothing to do with the religion or ethnicity of the residents. Visit Teesside and go to Park End, Whinneybanks, Eston, Southbank or Grangetown. There are no ethnic communities in these areas but they will not report crime to the police and will not help them. They are not 'no-go' or 'won't go' areas, they are like the areas you are refusing to name suspicious of the police because they see them as a persecuting and repressive hostile authority. This is pure stupidity. My state, Oregon, is 83% white (next highest percentage is Hispanic at 11%) and the majority vote Democrat. Pretending that party affiliation is about race is something racists do. Wisconsin's white majority is even bigger at 86%. The idea that Hillary Clinton ignored white people there would make her stupid. She's not, and even if she were, you can bet that the people running her campaign understand the demographics better than you. Also, "mystery meat ethnics?" You're disgusting on every level. None of that contradicts what I said. Pretending that party affiliation is about race is something racists do. Last edited by Baylor; 2nd October 2018 at 02:53 PM. You really are clueless about UK politics and demographics aren't you? You could wind those graphs back 30 years, 40 years and the relative ratios would be the same. There's a reason the C of E is referred to as the 'Tory party at prayer' and excellent reasons why ethnic minorities have voted Labour. If you actually bothered to do any real research you would see immigration policies over the last few decades have been designed to increasingly exclude immigrants from Britain's former empire, but hey that would require you to base your opinion on something more than shock headlines and deceptive YouTube videos. So just proved your self wrong, You have just lumped all Muslims in the UK into one group! (Also all Muslims in the US). There are very disparate groups in the UK e.g. Professional middle class urban immigrants originally from Pakistan (such as my family) are very different from working class from tribal / rural areas of Pakistan, which are many of the groups in Northern mill towns such as Bradford. The long standing ex Somali Welsh population have been resident since the nineteenth century, the ex Ugandan Asians though originally from Pakistan are again a different group. East London has a huge Turkish Cypriot Muslim community. PS If you think teenagers don't hang around Kebab shops you have never been in England. You'll be waiting for a while. I have no interest in your photography. Actually it completely contradicts it, but you would have known that if you had bothered to read past the first sentence of the article. I'm still waiting for the name of a street in London that's in a no go area. No photography necessary if you don't want to see it. So just proved your self wrong, You have just lumped all Muslims in the UK into one group! No, I haven't. I said 'Muslim communities'. Muslim communities in the UK are, in the majority, homogeneous (not, not every single one, but most). The Muslims we work with, socialise with, witness in positions of responsibility and authority tend to live in the community, i.e. they are integrated. They don't shut themselves off from the kaffir in their little Mirpur analogues, which now plague every major town in England. Brick Lane? According to Wikipedia “it is the heart of the city's Bangladeshi community”. Last edited by Mojo; 2nd October 2018 at 03:07 PM. At this point I think this thread should have been in the CT section and since dealing with conspiracy theorists is essentially banging your head against a brick wall its time to go do something more productive. It's been fun seeing the more weird and wonderful claims from the American Right-Wing Headcase portion of the internet though. Apparently Birmingham, UK has more Muslims than any city outside of the Middle East?!? I'm thinking it should be moved to the Humor section, so we can all point and laugh at it. Hey! No giving Baylor clues! Let's face it, no white man wants to go to Brick Lane, but there's no need to let Baylor know about that. Back on topic after that pathetic pile-on. Last edited by Baylor; 2nd October 2018 at 04:43 PM. Man fights off three home invaders only to be arrested for "racial insensitivity"
Think you are being led astray - I can assure you that there are very, very few people in Britain like them, so please don't assume they represent the British. Never said they "represent" the British. The video depicts religious conflict--exactly what one would expect when Christians show off Christian symbols in Muslim territory. Have you actually been to the UK? Hey, did you know that in Spokane, WA, gangs of occult witches rule the streets? Every night, the witch cults raise zombies out of the cemeteries so that they can shamble about the streets. Glowing runes can be seen on every street corner. 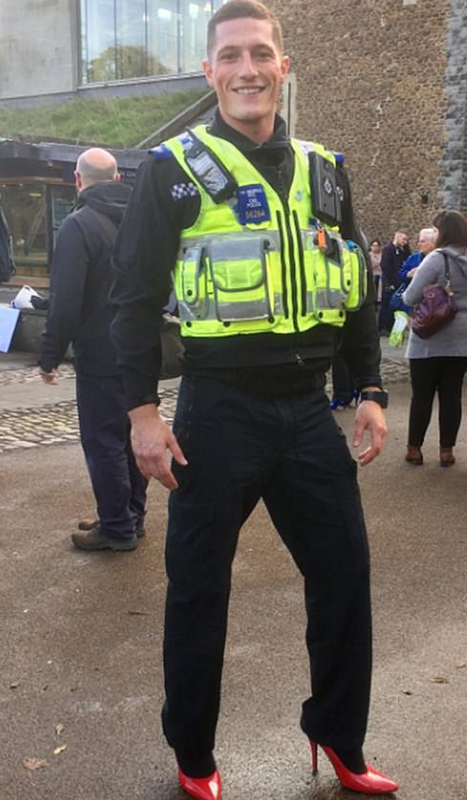 Police are afraid to go there for fear that they'll be turned into frogs. Detective Peter Macnamara said "Spokane, WA? Yeah, the witches own that place. No way I'd set foot in there. It's a no-go zone for anyone who isn't a witch. They have their own justice there. It's insane every Sabbat night, with the chanting and the lights and the smells. They just take people off the street and sacrifice them on their unholy altars. The police just stay away." That's what you sound like right now, Baylor. I am not certain what you definition of a home invasion is, but the 'accused' was knocking on the front door. There was a business dispute between the two. The other persons remained outside of the boundary fence. The man who 'fought off' the 'home invader' at his front door came to the door with his adult sons armed (with sticks) and proceeded to make threats telling in no uncertain terms people of a particular colour to go away or they would come to harm (this is actually a crime in England; threatening people). Subsequently he has had to resign as a magistrate. The police decided that knocking at a front door does not constitute a crime. Spokane on the other hand looks like a complete Trumphole. I wonder why the people who live there don't have the guts to make it liveable? Probably too busy shooting each other and googling racist pish. And just look at the size of that mosque!